A few weeks back I was invited to a friend’s house for dinner. As I didn’t have time to bake a dessert a bought a sticky toffee pudding from the bakery. The pudding didn’t have any caramel sauce on top so I decided to at least make that. As I was browsing through sauce recipes I came across many on sticky toffee cupcakes and I saved a for future reference. 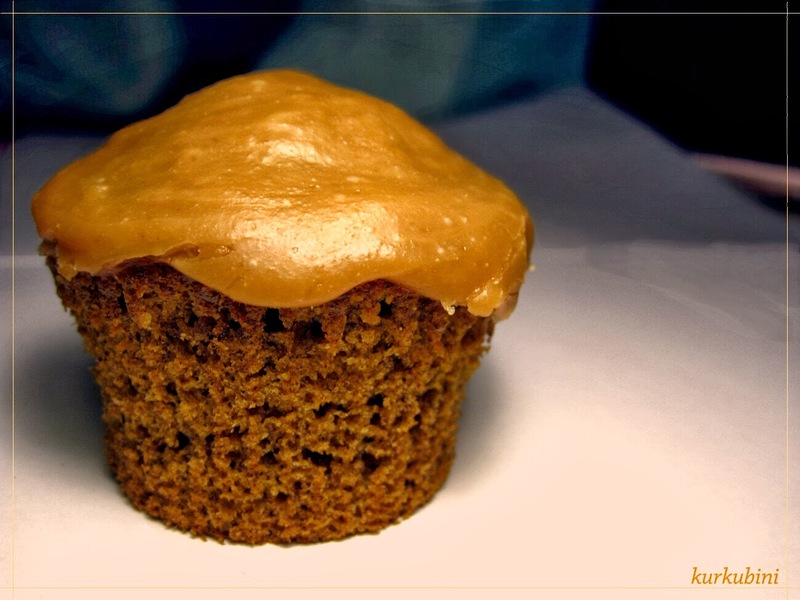 I have been looking into cupcake recipes for years but, to my surprise, I had never come across any sticky toffee ones. The main difference in this cupcake recipe is the various non-typical ingredients making it more difficult to bake without having it planned. I happened to have the added ingredients this time so I took the opportunity and baked a bunch. They turned out awesome and yes they were almost gone within 4 hours! Luckily I saved one for the photos. We start by placing the dates and apricots in a pan and cover with the boiled water. We leave them to soak for about half an hour. Once soaked we remove the skins from the dates and then mash the dates, apricots and water in a food processor. Lastly we add the vanilla extract and give it another spin. In a mixer we beat the butter with the sugar for about 5-8 minutes until we get a light mixture. We add the eggs one by one and we continue to beat for 5 more minutes. In a separate bowl we mix the flour with the baking soda and we slowly start add the flour in our butter mixture. Once well mixed we add the mashed dates and apricots. We continue beating for 3-5 more minutes. Spoon the mixture into the cupcake forms and bake in the oven for 15-20 minutes. Once cooked we remove from the oven and let them cool. For the salted caramel icing we dilute the sugar in the water in a saucepan over medium heat. Once diluted we increase the temperature to the max and let it boil stirring occasionally. Once light brown we add the double cream, vanilla extract and salt making sure we keep stirring all the way till all the ingredients mix well. We remove from the heat and we let it cool. Keep in mind that the final stage of adding the double cream is a very quick process that lasts about a minute. We need to remove the caramel right after so it doesn’t burn. We decorate the cupcakes with the salted caramel once it is cold. Next Next post: Soft Peanut Butter Cookies!